The Marvellous, Magical Madness of Moving! I've worked for The Crafty Lady once or twice a week for about five years now, and it's always been an adventure. My usual days are Tuesdays and Thursdays. That four-day gap I have from the end of one week to the start of another has meant that I often don't know what I'll find when I come in on a Tuesday. 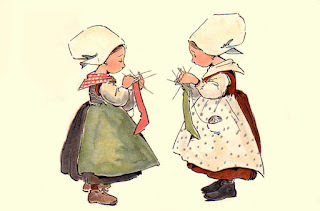 Most of the time it might be a new yarn delivery, or new embroidery kits and patterns. About once a year, though, The Crafty Lady loves to move things around -- literally re-arranging the furniture and most -- if not all -- of the stock. This year, as you'll know if you've been keeping up with our blog posts, the good Lady has hit an all-time high: she's moving the store. We're only going around the corner -- but it might as well be around the world: there's that much work to do to make it happen! Once just the right new location was found, the Lady set about drafting floor plans to determine what would go where. She tested the lights and the plugs and the equipment in the kitchen (Yes! A kitchen!). Shelving was installed in the basement for storage. (No more on the floor storage!) A bit of new flooring has gone into the office space. (Yes! A dedicated office!) Over the past couple of weeks, stored yarn has moved into that new basement space, and our peg-board for hanging skeins has been removed from our original site to its new home. Over last weekend, as you'll have read, our beloved couches were moved there too. The marvellous thing is that while Anne and I have held the fort at the current location, and helped a bit with packing, most of the work has been done by The Crafty Lady herself, with able assistance from her Mom-with-Endless-Energy (Muriel) and a local handyman/electrician. The magical thing is that in the midst this time of excitement, anticipation and more than a little Moving Madness, we -- and that includes you, Dear Customers! 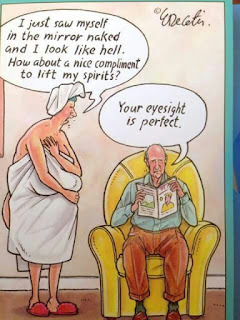 -- have managed to keep our sense of humour. We expect to be open (with limited stock) at the current location Thursday, May 31. We hope to have the NEW location open for business that day. Knit Night -- with special goodies -- WILL RUN on Thursday, May 31 at the NEW location! Watch this Blog space and/or our Facebook Page or call ahead for confirmation (403-782-7238). And of course, the Moving Sale continues!! Monday, May 28, all highlighted items (watch for those yellow and orange tags!) will be 65% off -- and the progressive sale continues through May 31. And yes...We're still having our weekly Super Special Sale! If you're like me, you start your Christmas gift knitting sometime over the summer. 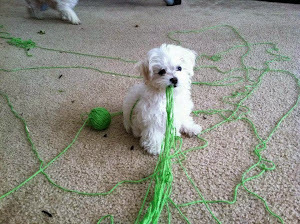 Too hot to knit? Not if it's a wee bit of luxury, such as a hat, a close-to-the-neck cowl , a pair of mittens or even a simple shawl -- and this yarn is just the ticket! We'll be here for you -- at one location or the other -- or maybe in two places at once! There's no end to the marvellous, magical madness of moving! *Written by Margaret, who's found magic and marvels in knitting for almost 60 years. 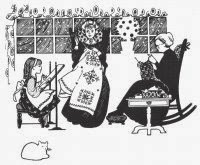 May 24 - Knit Night Cancelled . 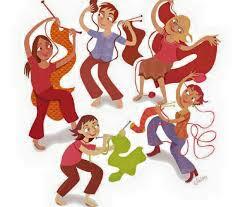 . .
For May 24 Only - Knit Night has been cancelled!! The couches and table have moved to their new location, leaving us with just three folding chairs. If you wish to drop in and spend some time - you are more than welcome! Our Moving Sale continues with discounts at 50% May 24 - come and browse. or someone may be sitting on the floor and my knees will not bend that far any more. The plan is to celebrate Knit Night next week in the new location next door to the CIBC - 5006 - 50 Ave. The phone number will be the same, as will our Facebook page. Do you prefer all things "Traditional" or "Contemporary"? Or do you blend the best of both? This past weekend the wedding of Meghan and Harry was a beautiful blend of traditional and contemporary. When you compare the wedding of Charles and Diana to the wedding of their son, Harry to Meghan Markle . . . it is a very different world. Harry is not the first in line to be a monarch - as Charles was and is; so the traditions are different. Traditional British brides have a rhyme "Something old, something new, something borrowed and something blue, and a silver sixpence in your shoe"? The old was to ward off the "evil eye" and/or continuity, new - optimism, blue is for fertility/purity/love/fidelity, the borrowed was to provide good luck/happiness, and the sixpence -prosperity. Meghan's tiara was a direct tribute to the something borrowed. The tiara was a gift to Queen Mary in 1893 and is known as the Queen Mary Bandeau. I read somewhere it was provided by Queen Elizabeth, whose sister Princess Margaret has worn on special occasions. It is wonderful when we can respect traditions - like marriage. It is also wonderful when we can lose some of the destructive traditions, like racism, and find ways to respect change and opportunity. Meghan is the first person of colour in over 200 years to marry into the British Royal family. The first person I am aware of was Charlotte, wife of George III in the 1700's. She was a member of the Portuguese royal family. Coming closer to home - how times are a changing here at The Crafty Lady. Please share and remind one and all, we are moving! Lori is celebrating by having one of the biggest sales - to my knowledge - in her 24 year history. There are so many things on sale - I cannot list them all. Note - as of today the sale items are at 40% off, tomorrow 45%. She is increasing the discount by 5% every business day until the end of the month. Are you a gambler? Do you want to wait and see what is left when the discount reaches 80% to then purchase? Or purchase now to ensure you get your choice? As one customer stated "I just bought all my yarn for this Christmas" at sale prices! That is the change side - on the traditional side; we are continuing the one item at 75% off. 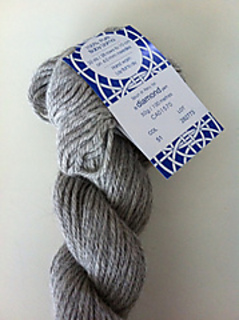 Combining "old and new" - Hayfield's Aran with Wool is 20% wool and 80% acrylic. It will work to all Aran weight patterns. The bonus of the wool (the old) and the acrylic (the new) allows this yarn to hold it's shape, be very warm, machine washable and easy to care for. Written by Anne, happy TCL employee who is surprised to learn I prefer many of the newer traditions, while holding onto the best of the old . . .the best of both!! The Sale You've Been Waiting For! The deadline is creeping ever closer and there is only so much we want to move. Because there has been a lot of shuffling within the community of yarn providers (takeovers, retirements, etc. ), there are a few (quite a few!) of our products that we will no longer be ordering once we are in our new location. Not only that, but one of The Crafty Lady's retired employees was in for a visit this week and noticed that there are a number of items that are still in the store that were already 'old stock' before she started! I know what you're thinking. Stop stalling! Tell us how much we're going to save on all these wonderful sticks and strings! Today, May 16, you will save 20% on any item marked with a bright yellow sign (with its name on it). Sale corner items are still 25% off. Please note that they are now spread across the front of the store. Tomorrow, May 17, that sale price goes to 25% off for both the sale corner items and the specially marked items. For every following day we are open, the percentage goes up by 5% until May 31 when even the 75% off weekly sale joins in for 80% OFF! Please note that we are closed Sundays and the Monday of the May long weekend (this weekend). Remember, you are doing us a favour by helping us have less to move, meaning we can move to our new location even faster. Posted by TCL owner who can't wait for you to see our new location! This blog post very nearly didn't get written. 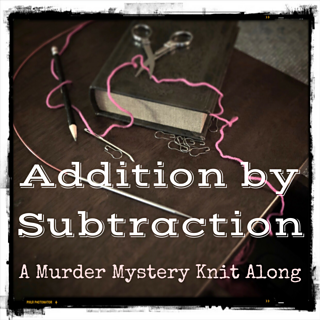 For the last week or ten days, yours truly -- Margaret (this week's Designated Writer) has been participating in a Murder Mystery Knit Along (MMKAL) on Ravelry. "Addition by Subtraction" by name. I've been completely smitten with it. It's a wonder I've managed to show up for work at The Crafty Lady. Or to do my laundry or dishes. Or to make my bed, feed the cat and water the plants. Or to do any yard work, buy groceries, eat, sleep, shower, change clothes or show up for church. Yes, dear readers, I've got "it" that bad. Knitting has long been associated with mysteries, and the solving thereof. Perhaps Agatha Christie's Miss Marple (shown here played by Geraldine McEwan) is most famous, but authors Maggie Sefton, Sally Goldenbaum, Anne Canadeo, Monica Ferris, Peggy Ehrhart and others have put on Christie's mantle over the years. And of course, there's a multiplicity of non-yarn-crafting sleuths to read about too. To me, there's nothing that can touch a perfect summer afternoon, stretched out on a garden bench with a mystery story propped in an book stand or coming to me over my headphones while I knit away, cool bevvy at my elbow. In cooler times of year, switch the garden bench for a love-seat and a quilt, and the bevvy for a hot cuppa and ahhhhh.....Bliss! No wonder I've been bitten yet again by the MMKAL bug! And here at The Crafty Lady, of course, we have our own little mystery story running every week. After all, only the Lady Herself knows what yarn she'll serve up for our Super Special...until she divulges it to the person writing the blog post. And each of us is sworn to secrecy -- on pain of losing our stitches!! So...what's it to be this week?! 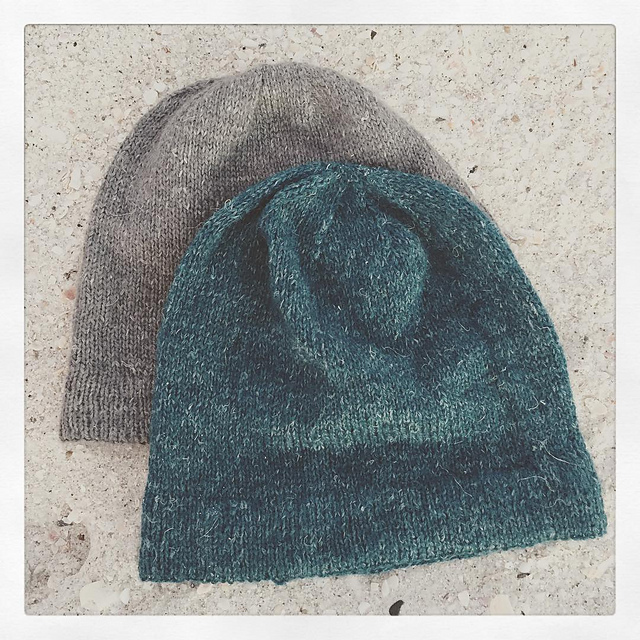 While it's an ideal yarn for cozy scarves, toques and head-bands, our particular favourite is The Crafty Lady's use of this yarn for the Azel Pullover, designed by Heidi May of Velvet Acorn Designs. Come on into the Shop to see the sample -- and see what surprises you might be inspired to create! Have you taken your pulse lately? 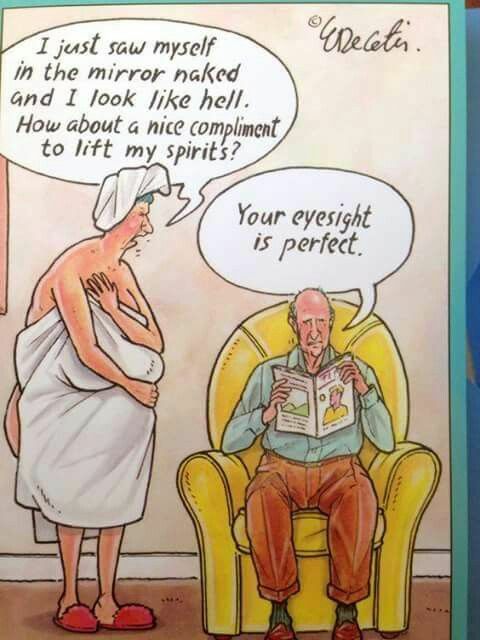 From my senior perspective - there are two seasons of each year we focus on our body image - just after a new year and spring as we contemplate the dreaded "bathing suit season"
Crafters know patience and persistence are essential - to achieve anything. Again from my senior perspective - is the perfect body worth it? Not in my opinion!! 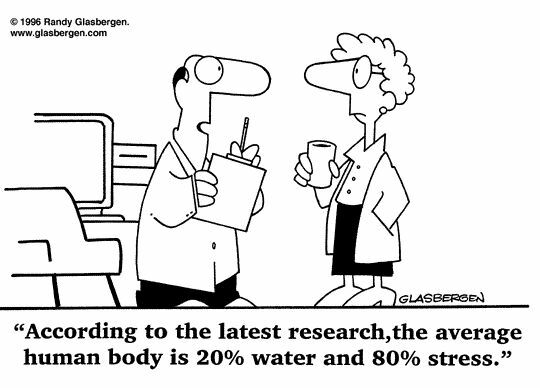 How to "manage stress"? I am of the opinion it is easier to say than to do. 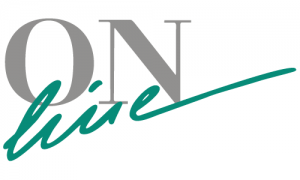 Karen Behar, Mavis Marteinson Associates, Calgary, states "when clients ask us to recommend ways to reduce stress, one of our suggestions is to take up a creative activity. 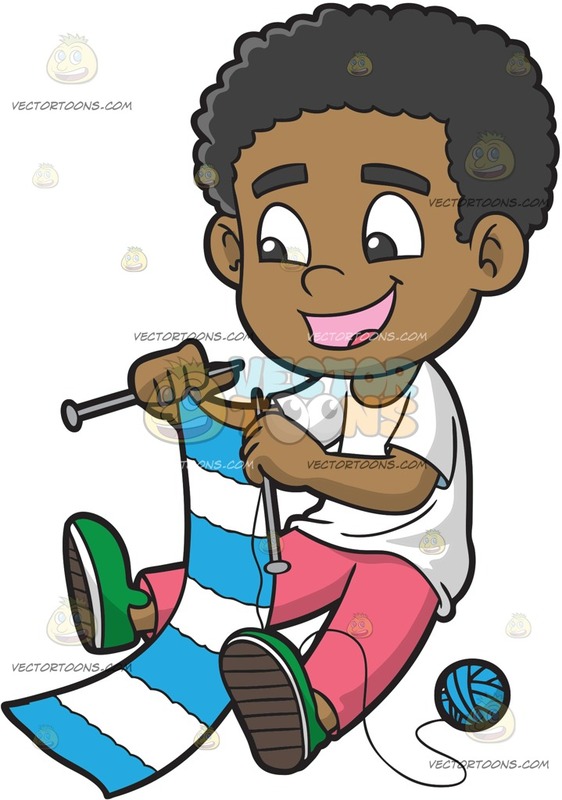 Doing something creative that you really enjoy, like knitting or sewing can be a very positive distraction from stress." So just to add to everyone's stress, The Crafty Lady has decided we (the store, contents and employees) are going to move. I am learning moving a store is just as or even more stressful than moving home and/or schools. As part of the move, The Crafty Lady is sorting through older patterns and books to determine what must be kept. I am an avid pattern reader, so was thumbing through one during my lunch in the park. The concept everything old is new again was reinforced. Quoting from the 1995 issue of Crafts Plus "according to a new clinical study sponsored by the American Home Craft Association, supervised by Dr. Robert Reiner of the NY University Medical Centre. 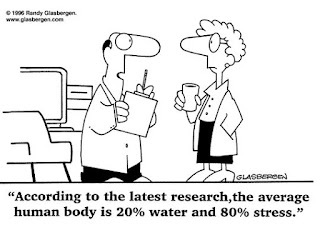 Dr. Reiner's study found heart rates actually decreased by seven to 11 beats per minute when the women were knitting and sewing, the heart rate actually increased for people playing cards, reading, watching videos and painting." I am just learning how essential taking your pulse can be to self-awareness as an indicator of stress and heart health. So to help with managing your stress and taking your pulse . . . 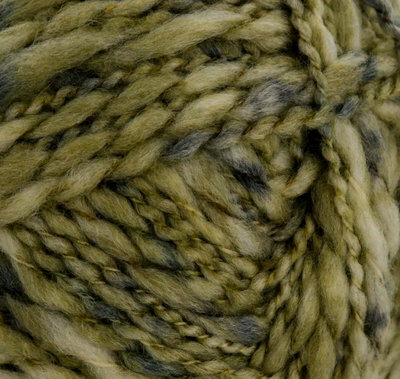 This is a chunky, slubyarn - spun thick to thin - to increase texture while adding tonal heatherings to add dimension to your projects. James C. Brett suggests 6 mm needles, so it will work up really quickly - reducing our deadline stress. As a chunky, this yarn is perfect for outerwear on cooler evenings. 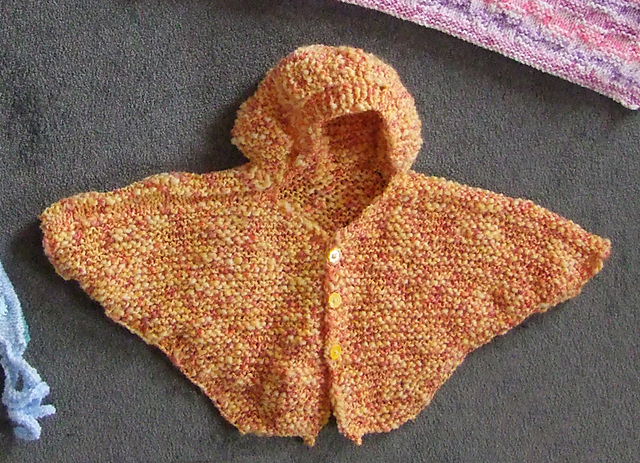 It is a superwash wool and acrylic blend to wear well and keep you warm! 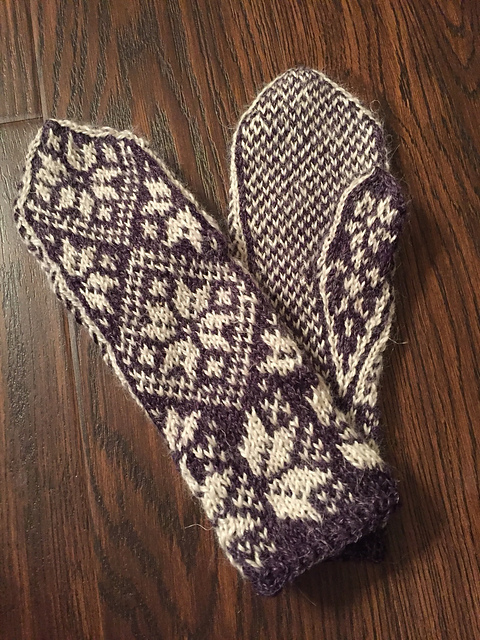 Posted by Anne, happy TLC employee - who knits to reduce my stress and create a lower pulse rate!